villa in Moliets et Maa in a quiet area close to all amenities. Ideal for families with children. 500m from the village, 2km from the golf, 2. 5 km of beaches. Inside, living room and 46m² living room with fully equipped kitchen. One bedroom with queen size bed and wardrobe, one with double bed and closet and 2 bedrooms with 2 single beds each (one with wardrobe). A large bathroom with shower, toilet and double washbasin. Separate toilet. Storeroom with shower, washing machine, freezer. Garage. Outside, enclosed garden of 800m ² with large partly covered terrace, garden furniture 8/10 people, plancha, washing line and sandbox. Possibility of loan bicycles, high chair. Pets are allowed after agreement. 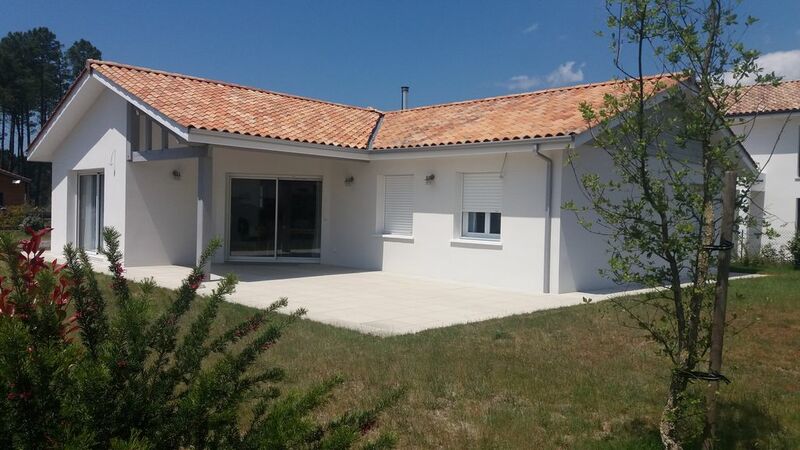 Maison en excellent état avec tout ce qu il faut pour passer de super vacances et au calme. Proche boulangerie et restaurant. Perfect house with everything you need, new and clean house. Close to bakery and restaurant. Wir haben unseren Urlaub in dem tollen Ferienhaus verbracht. Es ist modern ausgestattet und es fehlte an nichts. Die Eigentümer sind sehr freundlich und hilfsbereit. Die Umgebung mit dem traumhaft schönen Strand ist sehr sehenswert. Wir kommen gerne wieder.